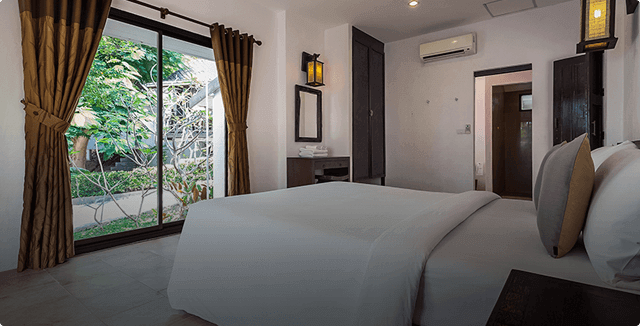 This 4-bedroom Resort Villa option combines two neighboring 2-bedroom semi-detached villas and merges them together to create a holiday villa rental experience that is totally unique. 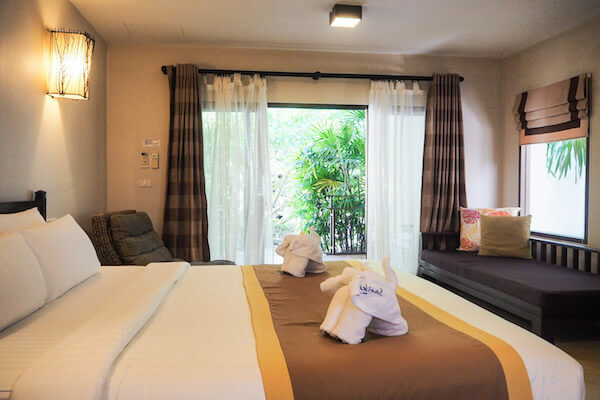 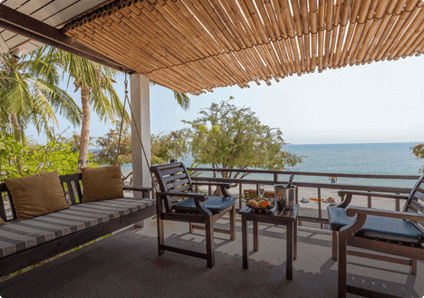 Imagine sharing your Pattaya holiday with your closest friends and/or family next door, joined together by a connecting door on the back garden. 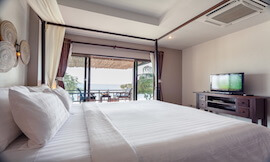 Sleeping up to 8 people, this is a rental option with a difference. 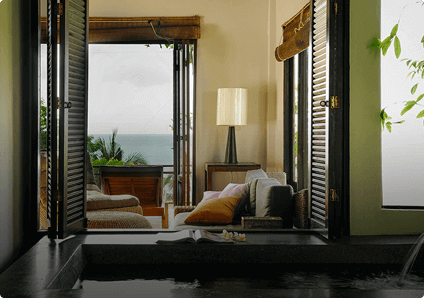 One of the adjoining villa’s main living areas will be cleared and converted into a mini-games room equipped with your very own pool table. 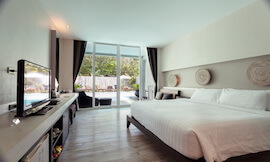 Offering the utmost in flexibility, The Ville Jomtien has created something unique, something a little different to the rest. 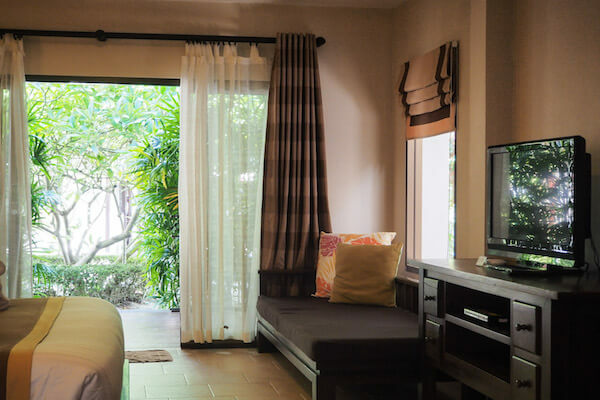 As this rental option combines two neighboring villas, you have two private swimming pools to choose from, connected via the back garden. 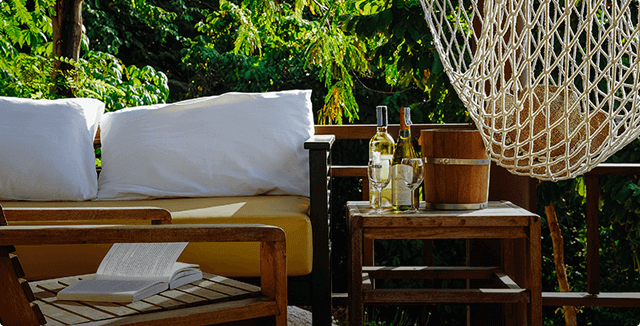 Both gardens have open terraces with seats and tables and charcoal BBQ units, which is very convenient for when you and your companions want to enjoy a garden party. 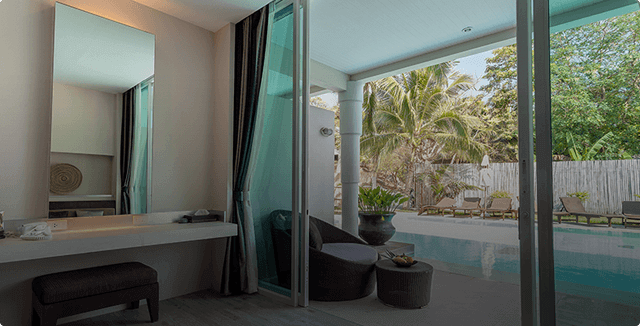 When booking these two villas, one of the living areas is transformed into a mini-games room with a pool table to enhance your holiday pleasures. 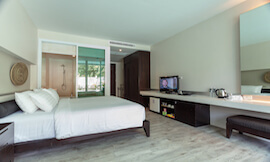 The other living area is used as the main lounge with a 40 inch flat-screen TV, a sofa and DVD player with USB features. 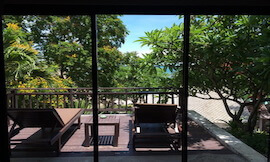 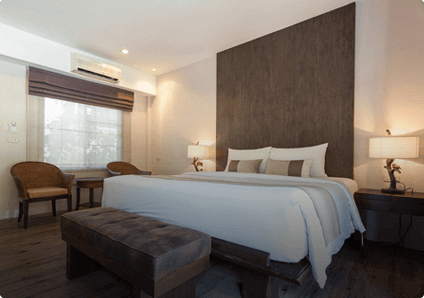 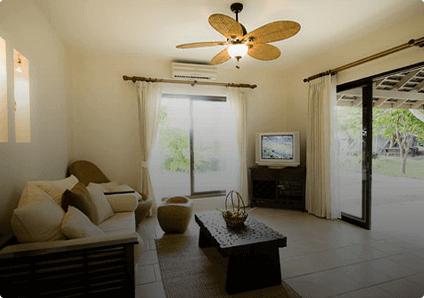 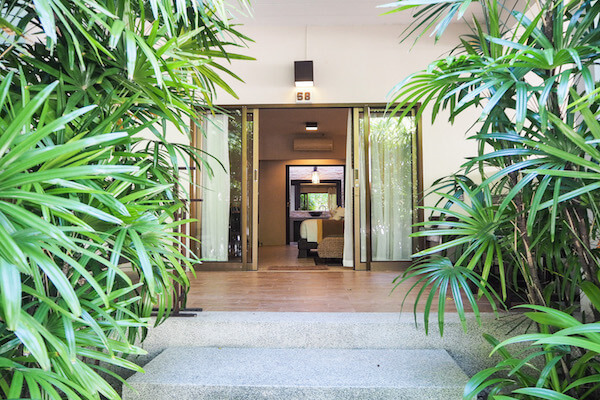 Because of the connecting doors, you can move from one villa to the next with total convenience, making this Pattaya villa rental option one of the most interesting and unique concepts on the marketplace. 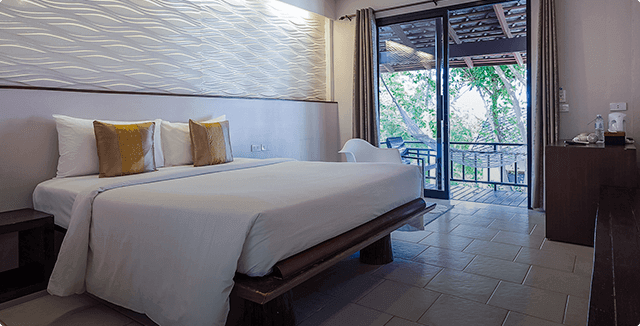 There are two kitchens within this 4-bedroom Resort Villa, both of which identical and built to suit the needs of westerners who want the option to self-cater. 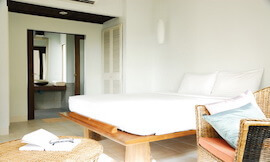 The kitchens have 4-ring stovetops, fridge-freezers and a vast amount of dishware and cutlery for up to 8 people. 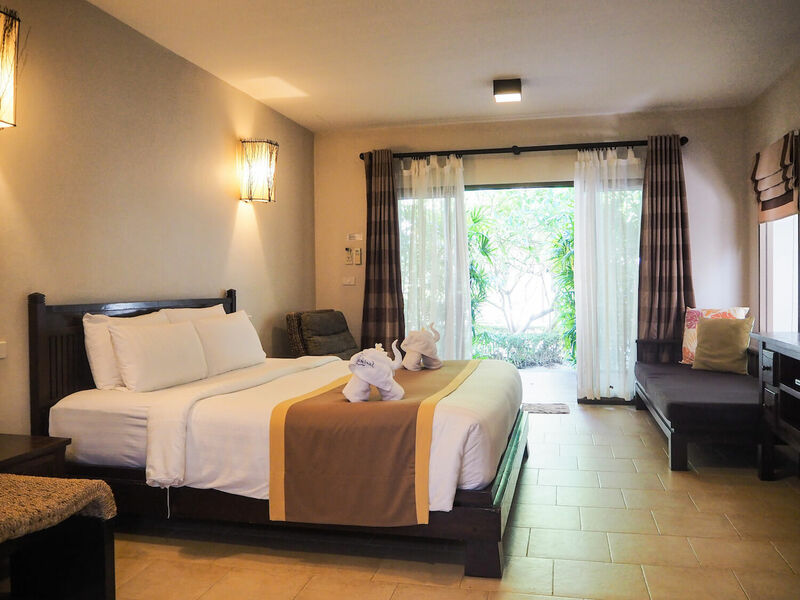 The 4 bedrooms are set over two villas, with 2 bedrooms in each. 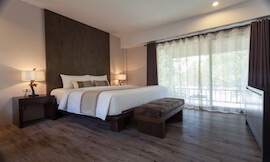 All 4 bedrooms have double beds; King-size in the Master Bedrooms and Queen Size in the guests rooms. 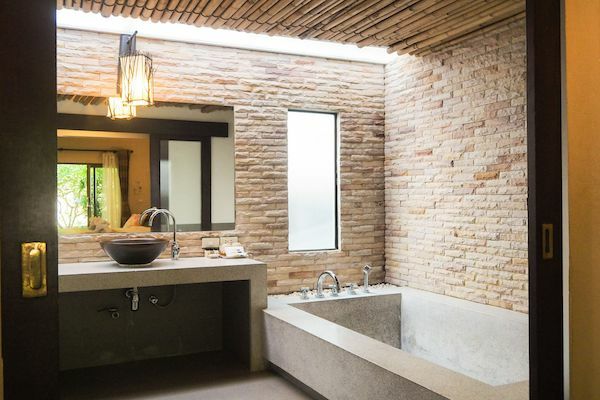 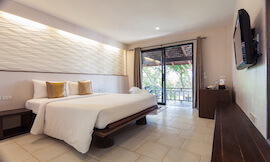 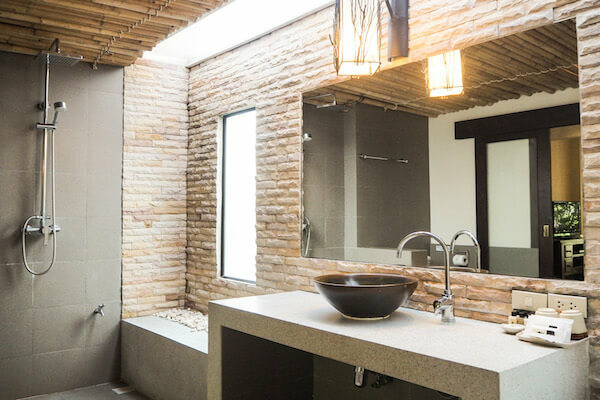 The two Master Bedrooms have ensuite bathrooms with bathtubs, showers, toilets and wash basins, while the guest bedrooms have bathrooms with toilets, showers and wash basins. 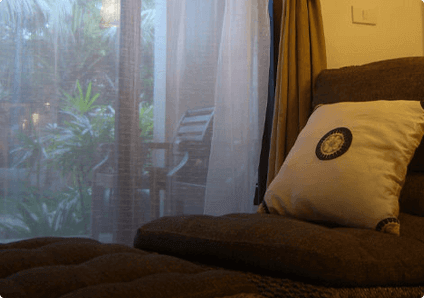 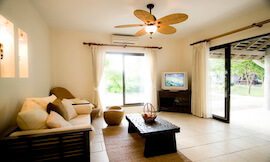 All 4 bedrooms have 32 inch flat-screen TVs, wardrobes and air-conditioning.